It is clear to me that this will be yet another skull slapping book from the MudLuscious Press/Blue Square Press mega-book creators. If you’re not paying attention to what shuffles out of their hands by now, then I just, I just don’t know. The tape recorder hissed its cursed breath, elapsed time. We burgeon many more children. Found our way through the single door, opened the single window. Took the boys to the waves. Took the girls to the garden. Read the whole issue here, including the whole sampling of Mr. Spivey’s Black God. After his wife becomes a bird and takes to the air, the attrition of Malcolm Blackwell’s existence takes place on every plane… this his story of unforseen deliverance. Ben Spivey and Snake Plissken have a lot in common. They both have a way with words. Neither of them grew up wanting to be a rainbow. Both of them could beat up approximately 25 ten year-olds at once. 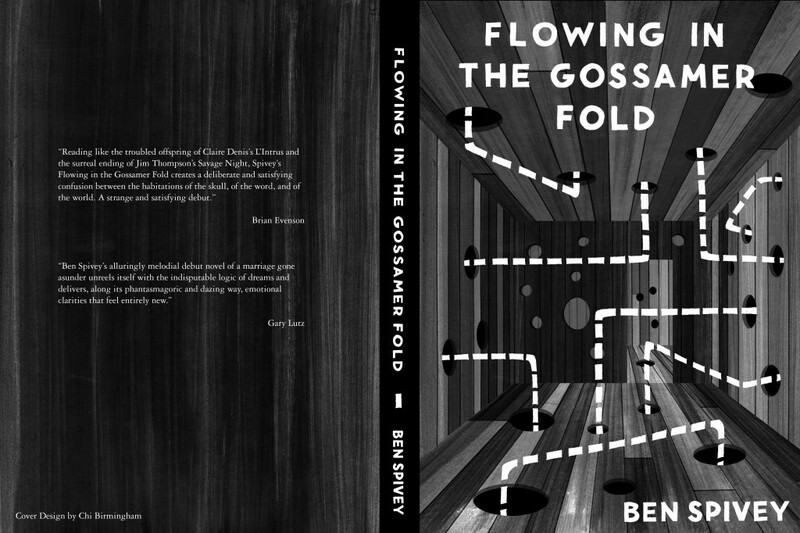 Ben wrote a book, Flowing in the Gossamer Fold, which is a release from Blue Square Press. 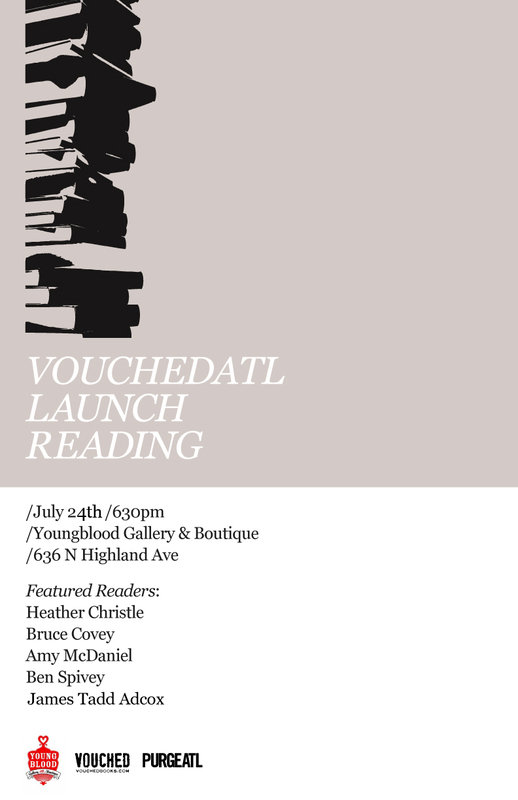 Unfortunately Snake Plissken is not reading at the VouchedATL launch reading this Sunday. Fortunately, Ben Spivey is. So Ben, your first book, Flowing in the Gossamer Fold, is centered around a motivational speaker. Was becoming a motivational speaker ever an ambition of yours? I once had a friend who wanted to be a rainbow when she grew up. When I was a bit younger I wanted to be a sort of motivational speaker. It was a phase that came and went. I did a few things with it and people but never felt like it lasted. That brief ambition to motivate, however, was inspiration for the character in Flowing, but I see that now only as an afterthought if anything at all. He (Malcolm) is humiliated while he’s doing his job and maybe I felt that way, too, but it was a long time ago and reflecting on it now is no longer like looking into a mirror. Your friend wanted to be a beautiful thing, one must stretch. How do you get yourself motivated to write? What Inspires you? I am motivated and inspired when I read. I often jot things down throughout the day and I return to them when I’m writing–which usually occurs in the morning before the rest of my day starts. It’s important to set aside the time you need. The little jots are a moment of inspiration, a single word, a sentence, sometimes a paragraph. How many ten year-olds do you think you could beat up at once? I would have pegged you for 25, but it’s good that you’re modest. Have you ever been in a fight? 25? Thanks. I’ve never been in a fight that I would count as a fight. So you’ve been in fights you wouldn’t count as a fight? They just don’t make villains like Lo-Pan anymore, or truck drivers like Jack Burton. Would you consider Kurt Russell to be a personal hero of yours? If I consider Snake Plissken a personal hero does that count? Good. I also like “The Thing.” But who doesn’t? I think most people do. I’m ashamed to say that I haven’t seen The Thing, which is incredibly lame. I love all things John Carpenter/Kurt Russell related. If you could sum up “The Thing” in a small paragraph, how would you? A small team of researchers in Antarctica (who are isolated) become paranoid after a parasitic alien begins to infect them one at a time. When a person becomes infected it allows the alien to morph into an image of the person it infected which causes the researchers to never quite know who the alien is. So there’s a lot of quarantining and a lot of fire and snow. Sounds really intense, especially with Kurt Russell involved. You’re probably right about most people liking that. What do you think Snake Plissken would have to say about our reading this Sunday? Snake Plissken wouldn’t give a f@ç#. That’s probably true. 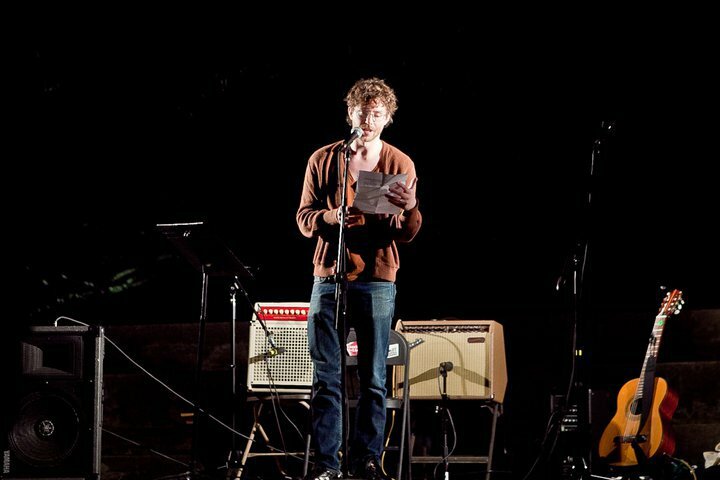 What would you say in response to him, since the reading is going to be so awesome?I would make sure he knows that there will be beer. He looks like he enjoys beer. And then all I could hope for is that he’d stand near the front chain-smoking American Spirits.